As I stumbled upon another sports blog I found an interesting write up which pretty much outlined an all sleeper fantasy football team. I decided to take the same idea and insert my own picks as an “All Sleeper Fantasy Team”. Though he had a kicker on his team, I will not add one to mine because that is ridiculous. Last year I thought to myself while watching the Miami Dolphins on HBO’s Hard Knocks “I’ve never seen a worse receiving corps in my life”. 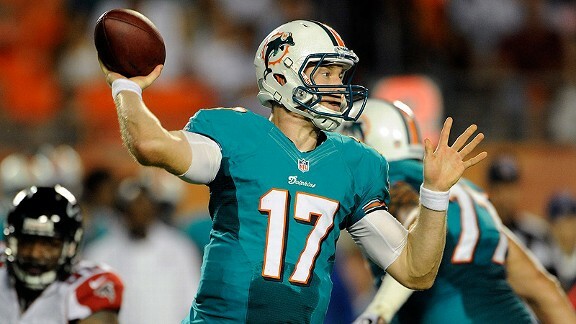 Ryan Tannehill came into one of the least favorable positions as a rookie Quarterback. He still managed to put up solid numbers passing for 3294 yards, 12 TD’s and 13 picks. This year the Dolphins added deep threat in Mike Wallace, Brandon Gibson, and Dustin Keller. With these new additions along with his top targeted receiver from last season Brian Hartline coming back, his production should sky rocket. Look for him to be a solid QB2 option. Most people will sleep on Daryl Richardson because he went to a small school and was picked in the 7th round of the NFL Draft. Richardson is set to have a breakout season this year. 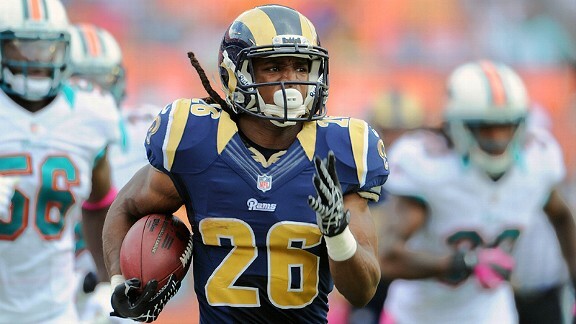 The Rams have him listed as their projected starter meaning he’ll get the majority of carries. Keep in mind he averaged 4.8 yards per carry to former Rams starter Steven Jackson’s 4.1. Look to stash him as a RB4 as he may be the steal of the draft. 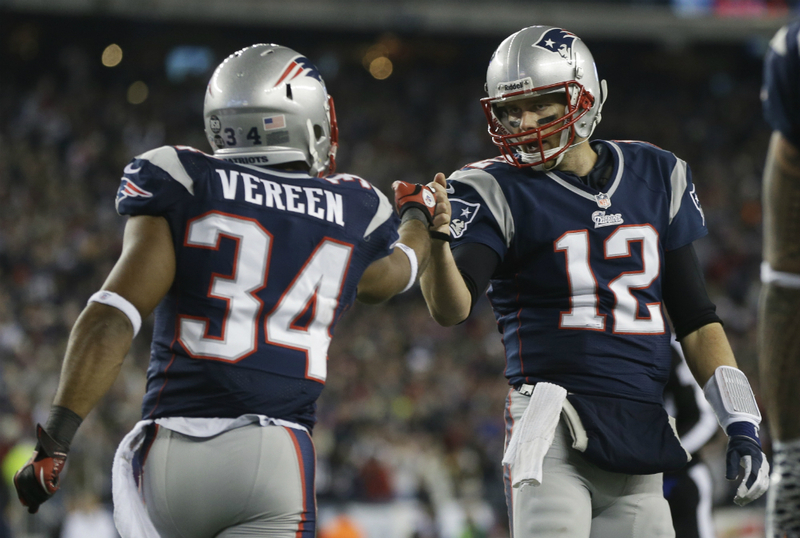 I might as well list Vereen as a wide out considering he’ll have more receiving yards than rushing yards this season. His versatility will be very beneficial to his stats this season with a depleted Patriots receiving corps. He’ll still rush the ball a good amount of times. It has been reported that his playing time is going to “spike” this upcoming season. Vereen will take on a similar role of Darren Sproles and should see his production increase significantly. He should be more valuable in PPR leagues. Solid RB3 in PPR RB4 in non PPR. 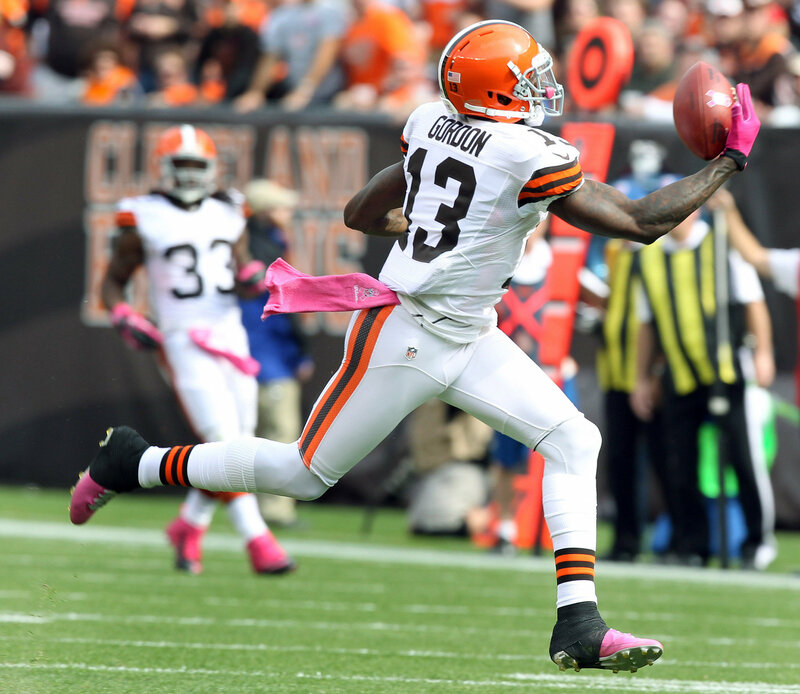 Josh Gordon had a great rookie season with 50 catches for 805 yards and 5 touchdowns. With his measurables and potential, he has been earning comparisons to Andre Johnson who has been dominating the NFL for years. Gordon will be the number one option for second year QB Brandon Weeden this year. He will be suspended for the first two games of the season which will scare off fantasy owners. Look for Gordon’s production to inevitably increase this year and draft him as a WR3. Although I do hate the Giants (I’m an Eagles fan), I do have to give credit where credit is due. 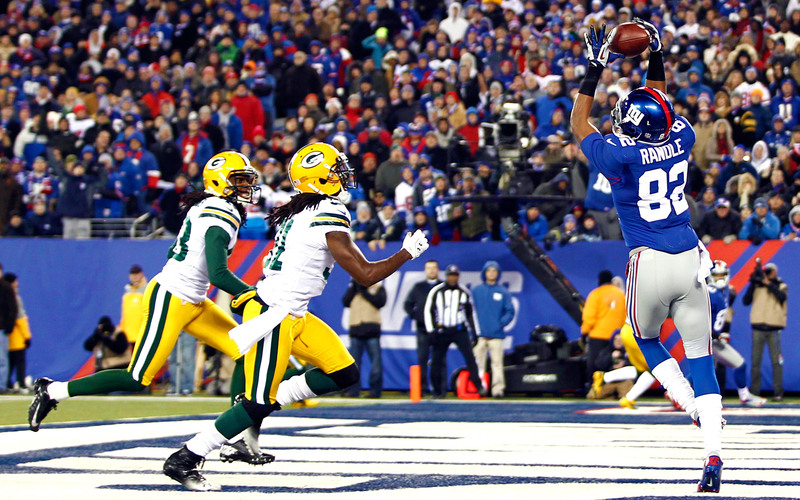 They have a phenomenal receiving corps highlighted by Hakeem Nicks and Victor Cruz. Reuben Randle constantly goes overlooked because he is overshadowed by these stars. With Eli Manning throwing to him, Randle should thrive in the Giants pass happy offense. He’s essentially filling Mario Manningham’s role but has more potential. Look for his targets and overall production to increase this season. He’ll be a stretch at WR3 but a solid WR4. 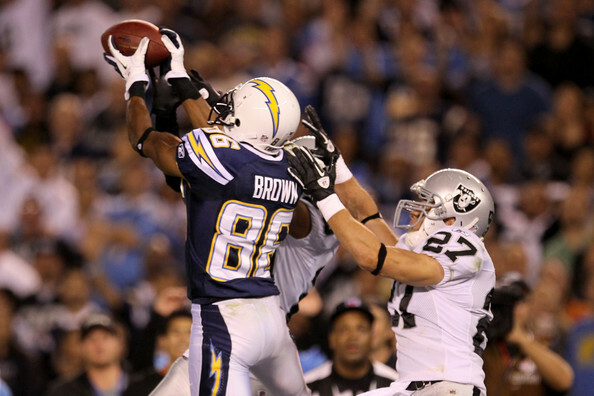 A player who’s very under the radar is San Diego Chargers receiver Vincent Brown. Brown is mainly overlooked because he was out all of last season with an ankle injury. Currently Brown is listed on the depth chart ahead of Malcolm Floyd as the starting Z receiver. It was also quoted that he was “just plain spectacular” in OTA’s. Also, the Chargers are implementing a more precise passing offense which will highlight short routes and benefit Brown in beating out Floyd. His superior route running skills will make him a fantasy steal in 2013. Stash him as a WR4. Basketball players turned Tight ends like Jimmy Graham and Antonio Gates have been very successful in the NFL. 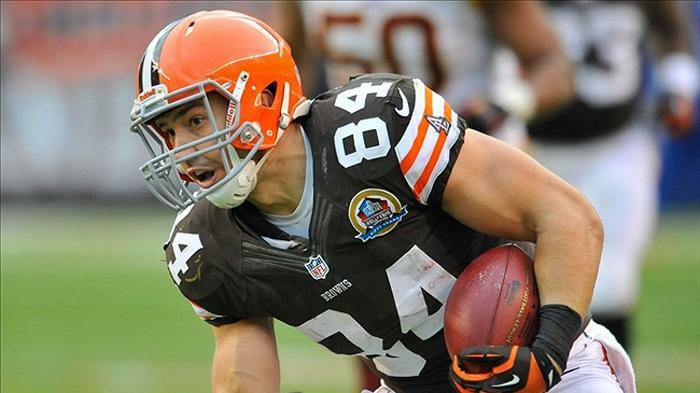 Jordan Cameron is also a very athletic basketball player turned Tight End. In his 3rd year out of USC, the Browns let Benjamin Watson walk in free agency to make Cameron the featured Tight End in Cleveland. His targets should almost triple this season which means his production will be ridiculous. He’s a sneaky TE1. Cleveland re-formatted their defense this year to a 3-4 scheme. The addition of ideal fits such as Desmond Bryant, Paul Kruger, and Barkevious Mingo will make this a tenacious defense. Kruger and Mingo/Sheard should generate a lot of sacks and Bryant will put a lot of pressure on opposing QB’s to force turnovers. Expect Joe Haden to notch lot of interceptions as well. Look for the Browns as a mid season pick up to upgrade your defense. Tagged Andre Johnson, Antonio Gates, Barkevious Mingo, Benjamin Watson, Brandon Gibson, Brandon Weeden, Brian Hartline, Cleveland Browns, Darren Sproles, Daryl Richardson, Desmond Bryant, Dustin Keller, Eli Manning, Hakeem Nicks, Hard Knocks, Jimmy Graham, Joe Haden, Jordan Cameron, Josh Gordon, Malcolm Floyd, Mario Manningham, Miami Dolphins, Mike Wallace, New England Patriots, New York Giants, OTA's, Paul Kruger, Reuben Randle, Ryan Tannehill, Shane Vereen, St. Louis Rams, Steven Jackson, Victor Cruz, Vincent Brown.